The Docker Pack provides enhanced visibility into Docker container logs with saved queries, real-time alerting and visualizations. Saved Queries: Queries for determining total number of containers created, started, stopped and killed, along with queries for identifying containers and images using the most CPU and memory. Tags and Alerts: Tags and alerts notify you of container events, when memory usage is trending up and when you’ve reached maximum CPU. 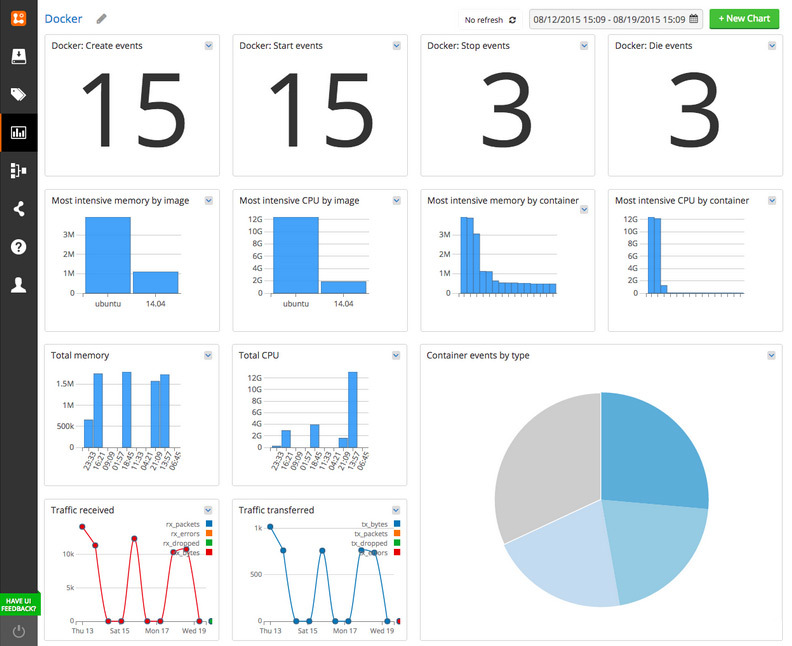 Dashboards: Customized timeline graphs and bar charts provide a detailed overview of network activity across all containers, visualizes average CPU and memory usage for all images and containers and displays a count of container events distributed by event type.